This is a lively and informative guide to the Church of England, from its Romano-British origins to the central church structures of the twenty-first century. It defines doctrine and how to address a Dean, covers Canon Law and explores the implications of Establishment; looks at mission and maintenance, music and ministry. From the Archbishop of Canterbury to the Thirty-Nine Articles and from Royal Peculiars to inter-faith relations, this invaluable resource brings together in a single volume the diverse threads that make up the Church of England. 1. When did the Church of England begin? 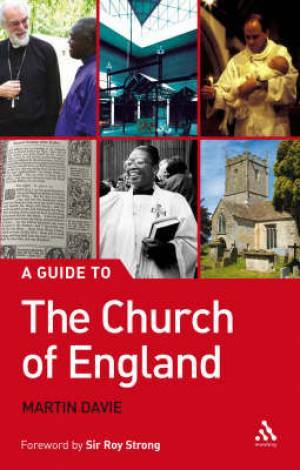 A Guide To The Church Of England by Martin Davie was published by Continuum in June 2008 and is our 10478th best seller. The ISBN for A Guide To The Church Of England is 9781906286132. Be the first to review A Guide To The Church Of England! Got a question? No problem! Just click here to ask us about A Guide To The Church Of England.